The Queen is about four and one half meters tall with an extremely powerful tail that is equal in length to the Queen's height. It possesses a large cranial crown which extends two meters behind the back of its head, and it has a second set of smaller arms. The Queen's head is kept hidden in its cranium until awakened at which time the front portion of the head will emerge much like a turtle. 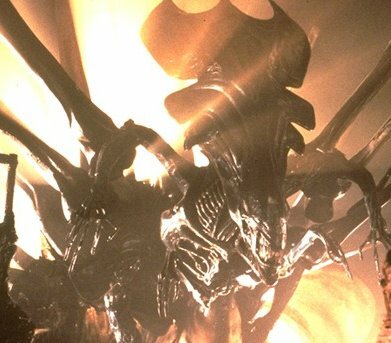 The large crown may be used for communication between the queen and the workers of the hive. 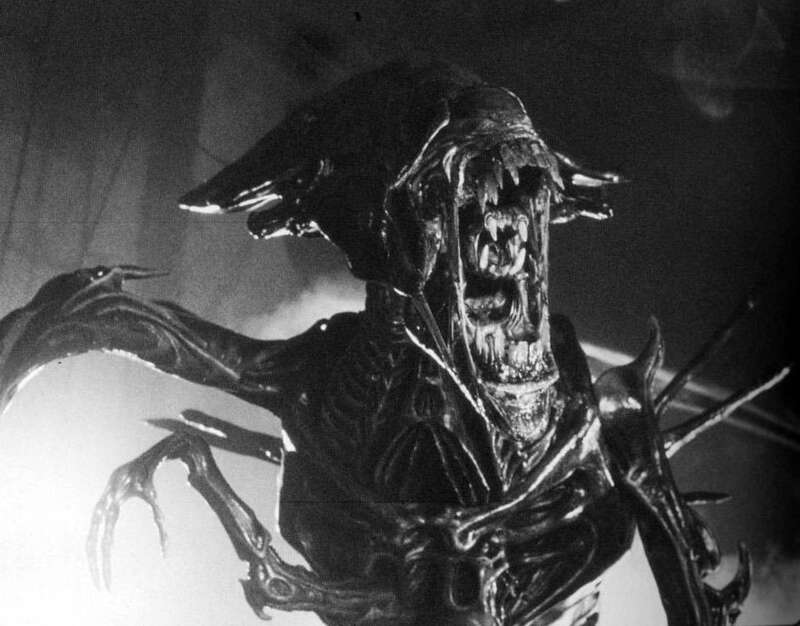 The secondary jaws of the Queen are similar to the Adult Xenomorph's secondary jaws, except they're proportionately larger with a striking length of roughly thirty-six inches. The second set of smaller arms the Queen possesses was originally thought to be used in a mating process, but the Queen on the U.S.M. Auriga was born fertile, however, this may be due to the mixture of human and Alien DNA. A mature Queen has an ovipositor which can reach a length of eight meters. Both the Queen and its ovipositor are suspended from the roof of a hive by thick strands of resin. From the end of the ovipositor an egg is set down onto the floor of the hive. Ultimately, the Queen is responsible for producing a Queen-bearing Egg(s) but when she starts producing them is uncertain. Speculation suggests that when a Queen's Egg laying abilities are nearing an end the next Queen born takes over. 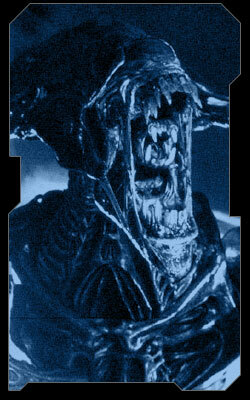 All Alien, Aliens, Alien3, Alien: Resurrection materials are Copyright © Twentieth Century Fox Film Corporation. These pages are unofficial, non-profit, and intended for film commentary and criticism purposes only. No trademark or copyright infringement intended. In addition, I have used numerous photos and text from other fan sites. If any individual finds text they have created and would prefer if it be removed from my site, I'll gladly remove it from my website. Thank you again!! !